Ladbrokes are offering huge odds enhancement on the 2017 US Open golf tournament! Join via our special links and back 20/1 ANY USA player to win. This bet is normally available at 1/2! What are you waiting for? 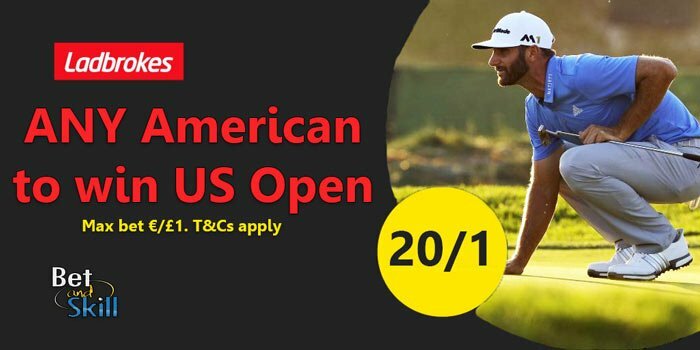 Get paid at 20/1 if ANY American golfer wins the US Open! This is a massive chance to make money on the 2017 US Open! 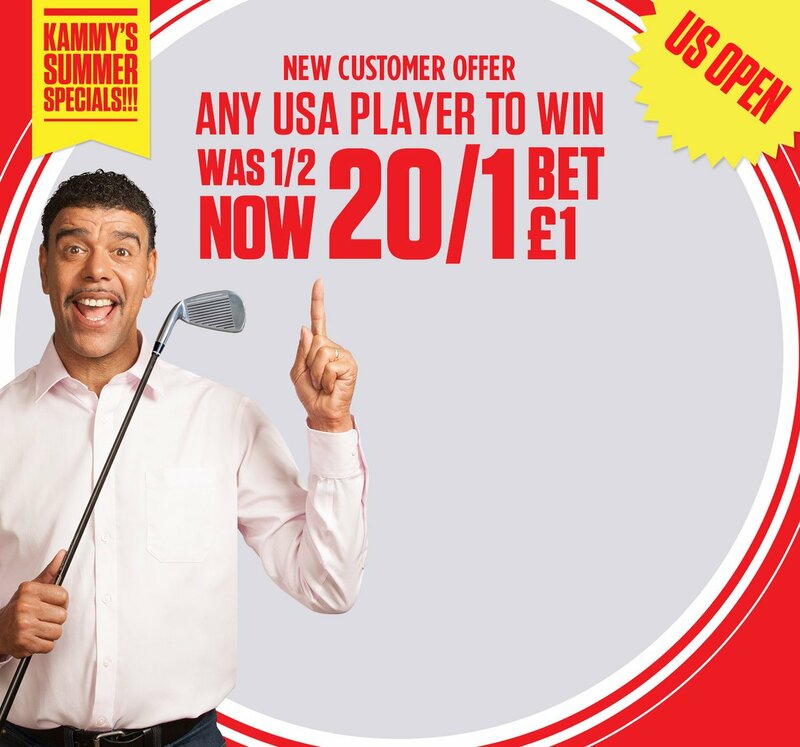 Get paid at 20/1 if ANY American Golfer wins the tournament! Join Ladbrokes via our special links and claim 20/1 for any USA player to win the US Open! 3) Place a single bet of up to €/£1 on ANY AMERICAN TO WIN before the tournament starts (Thursday 12:00 PM UK time). 4) If the tournament is won by an American golfer, your account will be credited with extra winning to make payout equivalent to enhanced odds within 24 hours. 1. New Ladbrokes Online & Mobile customers: Simply register today, deposit a minimum of £/€5, and then place your first bet as a single bet of £/€1 on any USA player to win the US Open (20/1). 2. Bets placed in accordance with the terms and conditions will be eligible for the enhanced odds of 20/1 for any USA player to win the US Open. Maximum one qualifying bet per customer. 4. This offer is available from 5pm on Sunday 11th June 2017 until 12pm on Thursday 15th June 2017. "Claim 20/1 ANY American golfer to win the US Open 2017 at Ladbrokes"